What is it, exactly, that contemporary American conservatism seeks to conserve? What should it conserve? What is worth conserving? Most American conservatives would applaud that proposal, which shows, among other things, how far the American Right is from the "throne and altar" conservatism of old Europe, with its class system and devotion to hierarchy and stability. American conservatives are, in truth, old-fashioned liberals—in the tradition of the American Founders, Alexis de Tocqueville, and Abraham Lincoln. 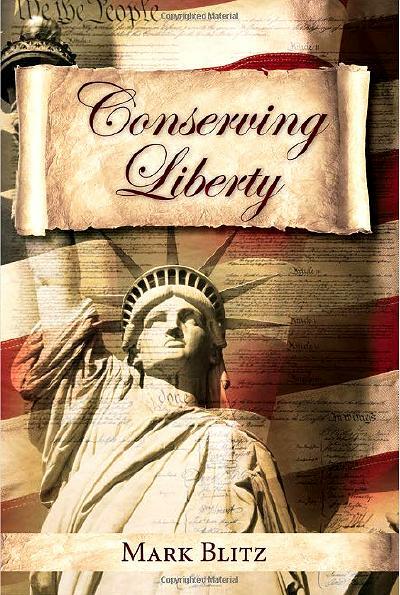 Because American conservatives prize liberty, they might be described—as Mark Blitz describes them in his new book, Conserving Liberty —as "conservative liberals." A professor of political philosophy and the director of the Henry Salvatori Center at Claremont McKenna College, Blitz points out that just as contemporary American conservatism differs from European conservatism, it differs, too, from contemporary liberalism with its "affirmative action, gender politics, and ethnic spoils and sensitivities that affirm such groups." American conservatives believe in equality, to be sure, but theirs is the God-given equality of the Declaration of Independence, not the equality of results or the "equality"—based moral relativism promoted by many contemporary liberals. At "Public Discourse," Nathan Schlueter explains "Why I am Not a Libertarian"
.... Libertarians are good at explaining why the market works and why government fails, and they have made important policy initiatives in areas such as school choice. On the other hand, they actively oppose laws prohibiting obscenity, protecting unborn children, promoting marriage, limiting immigration, and securing American citizens against terrorists. These positions flow from core principles that have more in common with modern liberalism than with the American founding, and which threaten to erode our constitutional order even further. Schlueter than goes on to consider "ten claims libertarians often make."